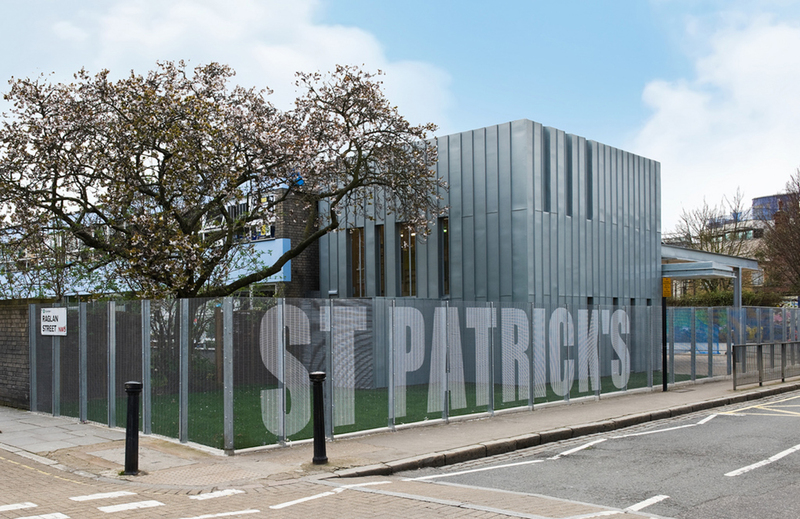 This Book Box is designed by Phil Coffey Architects as a library extension to an existing school in London. 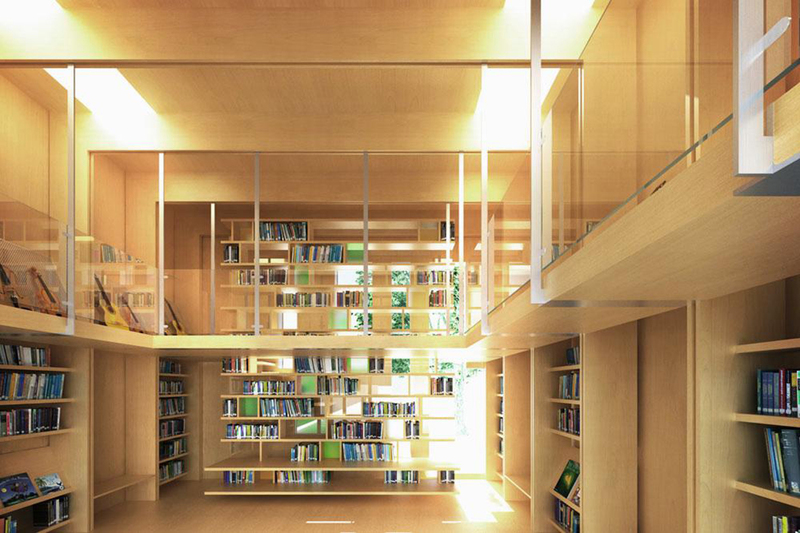 The double volume space incorporates a double height bookshelf from mezzanine to ground floor level. The multi-use space is intended to provide students with an inspiring space to invent and perform. 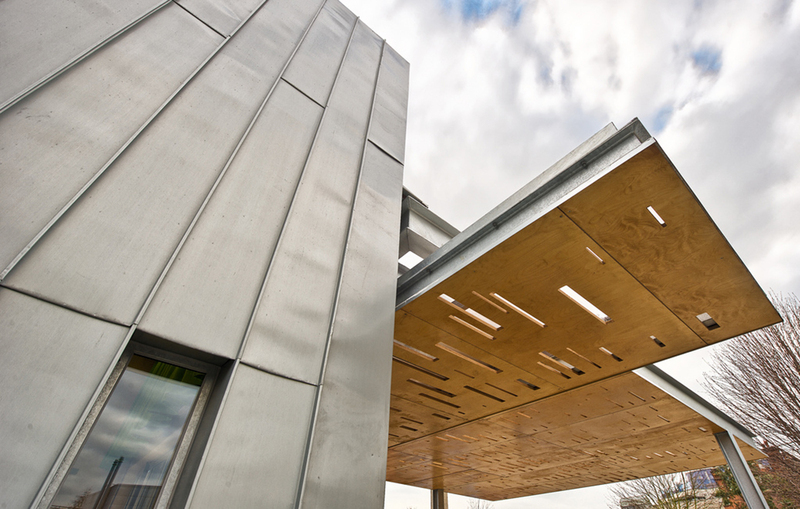 The ground floor completely opens up onto an external teaching and preforming area beneath a cut plywood canopy. Structure consists of exposed plywood portal frames with perimeter timber frame of walls providing lateral & longitudinal stability. Plywood portal frames laterally restrained by the mezzanine & shelving which also supports the mezzanine from stainless steel hangers. Winner of Stephen Lawrence Prize 2011.